Lasers are one of the preferred options for benign skin lesions removal in many cosmetic clinics. This is due to the high degree of accuracy of most modern cosmetic lasers, and because of this high accuracy and precision, the risks of scarring are very low. By looking as these easy procedures, while using lasers for mole removal, you can appreciate how good the results usually are for benign skin lesions removal and consequently for Syringoma removal. 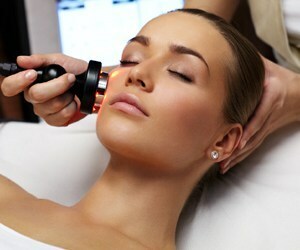 Welcome to the state of the art technology for Cosmetic treatments. Lasers are often associated with high technology and safety in cosmetic treatment for mole and benign skin lesions removal in general. The perception is not mistakenly placed. Lasers are very effective in removing little moles and birthmarks with a high degree of accuracy. This means that if used properly laser Syringoma removal can have excellent results in one session only. The type of lasers used for cosmetic procedures is called CO2 fractionated Laser of CO2 laser. If used for common eruptive syringoma, usualy one ablative session per Syringoma will suffice to remove these benign lesions by using the Co2 laser. after the recovery porces the client can undergo a deep peel at the clinic of the area teated by the CO2 laser or be prescrivbed a course of daily peels to smooth the area where the treatment was carried out. Therefore the first line of cosmetic treatment is usually to destroy these sweat duct tumors by using the CO2 laser. Topical anaesthetic is usualy required to be applied on the area to be treated with the laser for maximum comfort for the client. However, these unsightly benign skin lesions don’t go away without a fight, sometime they are quite difficult to eradicate in just one session because they tend to regrow quite quickly. Becasue of this tendency of regrowing after the CO2 session there may still be small flat bumps which can be levelled off with cosmetic peels. The cosmetic peels that can be used can either be for home use (ie Glycolic acid at 10%-20% concentration or mandelic acid 20 to 30%). If the cosmetic practitioner prefers one or two sessions of high contrated peel can be appplied as approctriate on the patches where the syringoma are still slightly raised. Although lasers are considered to be high tech even a mild superficial ablation can be uncomfortable or even painful. Even with the use of lasers, it is always advisable to numb the area before treatment. In cosmetic or beauty clinics the preferred options are topical anesthetics containing a 5% emulsion preparation, containing 2.5% lidocaine/prilocaine respectively (i.e. numbing creams like Emla). These preparations are usually available without prescriptions from the local Chemists. These type of topical anesthetics are normally used also by tattoo artits to numb the area before tattooing. Since tattoo artists are normally not medically qualified there is usually a mild topical anesthetic available without a prescription (depending on local legislation). 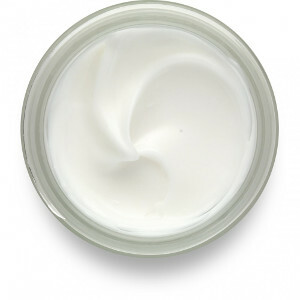 At dermatologists’ clinics usually up to 20% concentrations are used in topical anesthetic creams. Normally local anesthetic injections are not required for this simple procedure however some doctors, accustomed to administering injectable lidocaine, can opt for local anesthetic. The advantage of local anesthetic it the fact that the area will be numb within a few minutes following the injection. The aftercare is minimal after this type of procedure. Although the risks of infections are very low after a superficial cosmetic procedure it is advisable to instruct the client to apply the appropriate antiseptic (cream) twice a day. This will drastically reduce even further the risks of mild infections. In order to reduce the risks of hyperpigmentation sunscreen must be worn daily for at least 3 months after the last treatment. In general, a laser treatment is not painful or causes very little pain that is manageable for most people. However, for some treatments that do involve more pain (such as Fraxel) or for individuals who have a lower tolerance for pain, topical analgesics can be applied a few minutes prior to the procedure to reduce or eliminate discomfort. Oral pain relievers can also be taken beforehand if you are worried about pain. Depression or emotional difficulties even if the procedure is successful. Since every patient is an individual, you may not respond exactly the way other patients do. You also may not be completely happy with the effects of treatment. Laser skin resurfacing is considered a cosmetic procedure, thus it’s not covered by medical insurance.Costs vary between the types of lasers used. according to the American Society of Plastic Surgeons (ASPS), non-ablative optical device treatments value concerning $1,000 per session, whereas ablative treatments are concerning $2,000 per session.